Rob Hartnett is the managing director of Selling Strategies International a leading sales performance consultancy which has attracted clients such as National Australia Bank, BNZ, Clayton Utz, Ernst & Young, Draeger Medical, Giescke & Devrient, Interlease, The Victorian & NSW Governments, Tait Electronics, Nissan & KTM. 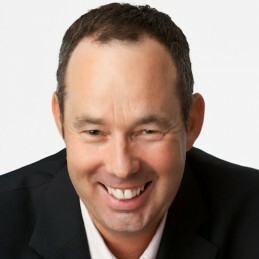 Prior to forming Selling Strategies International Rob worked in senior management roles at Apple Computer and Hewlett-Packard, where he won the coveted Asia Pacific High Achiever Award. Most recently he was a senior partner at award winning advertising agency Publicis Mojo. In 2010 Rob became the number one sales consultant for the worlds number one sales performance company Miller Heiman, the first time a non-American has won this award. Rob is known as an inspirational, entertaining and passionate speaker on sales, marketing & motivation and has presented across Australia, Asia, North America and the UK. He is the author of three books, Fast Times Ahead, Selling Strategies from The Top & Small Business, Big Opportunity which has over 130,000 copies in print and is a sales performance expert on Channel 7′s Kochies Business Builders. Rob is also a former world & state champion yachtsman and resides in Melbourne with his family. Rob’s presentations focus on building the revenue and reputations of organizations both large and small through proven, scaleable business & personal growth systems that have worked with global top 100 organisations as well as fast growing start up’s and entrepreneurs building their first business. He has presented to audiences from Financial Services, Banking, Professional Services, Pharmaceutical, IT&T, Retail, Automotive, Real Estate & Manufacturing in the United Kingdom, Singapore, Hong Kong, Taiwan, China, USA, New Zealand & across Australia. Rob is also an experienced corporate facilitator of workshops from 2 hours to 2 Days on subjects such as Key Account Planning, Winning New Business, Building Trusted Relationships, Negotiation & Influence. Due to his facilitation skills he is often called upon to MC events regularly. Rob is the author of a number of books and publications on sales, marketing & motivation and has appeared numerous time on TV, Radio and in the Press.